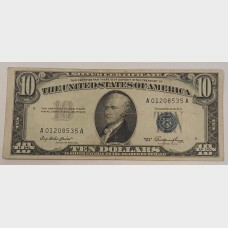 Numismatics is the study or collection of coins, medals, paper money, and related objects. 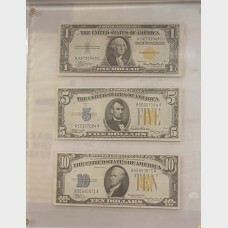 While numismatists are often characterized as students or collectors of coins, the discipline also includes the broader study of money and other payment media used to resolve debts and the exchange of goods. 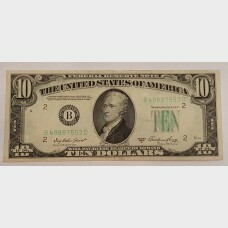 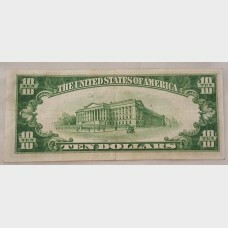 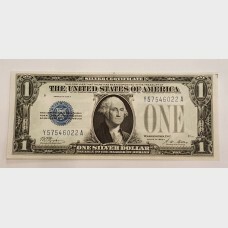 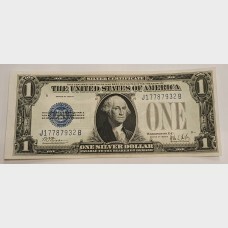 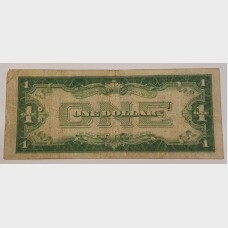 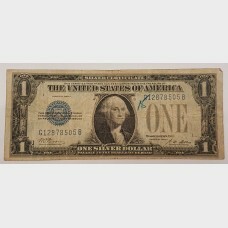 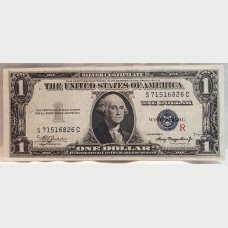 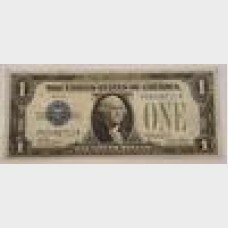 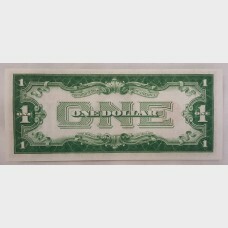 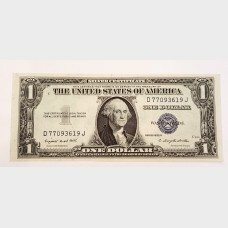 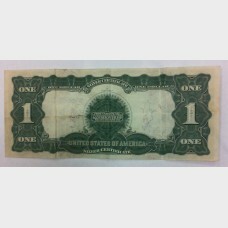 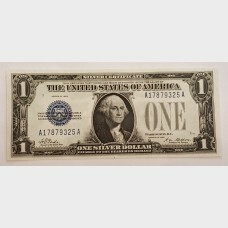 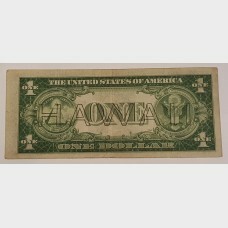 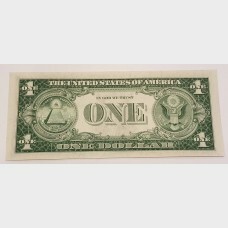 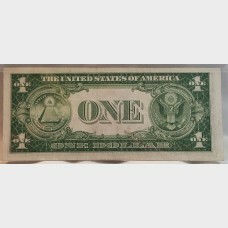 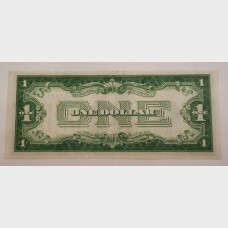 $1 bill legal tender note with blue seal. 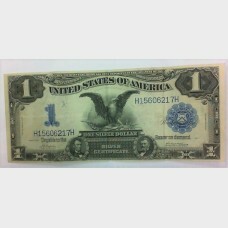 Has 2 numbers written in blue ink on it. 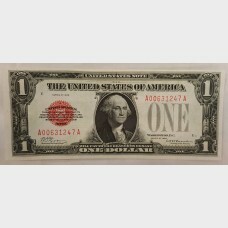 Comes in plastic ..
$1 legal tender note with red seal. 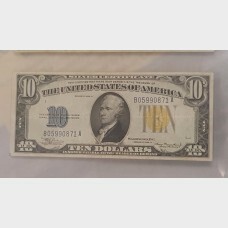 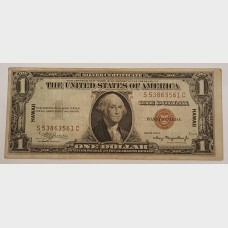 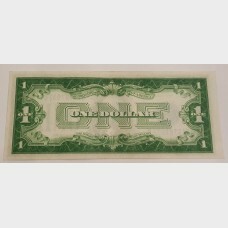 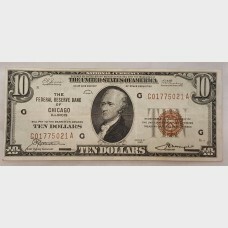 Comes in plastic acid free holder.Series 1928Friedburg Ref ..
$10 bill legal tender note. This bill is from the series of 1950-A, FR#2011-B, and is serial # B 498..